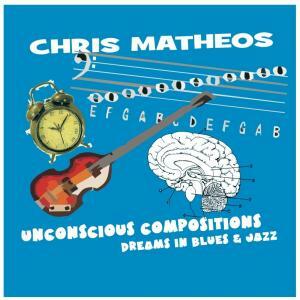 CHRIS MATHEOS has released five CD's of original improvisational jazz fusion music on Network Pacific Records. Below are a few songs from those CD's. They are for sale in download format at CD BABY. go to CD's section of this website and click on the cd covers to get links. 2016 New CD! SONG: "Freudian Slaps". CHRIS MATHEOS-bass, guitar, drums. CHRIS MATHEOS & MIKE ERNST: "Antarctic Expodition" from the Cd "FULL MOON/HIGH TIDE" (Network Pacific Records 2008). Featuring: Chris Matheos (b), Mike Ernst (g), Randy Crafton (p). 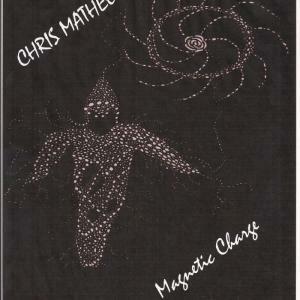 CHRIS MATHEOS: "Lafayette Train" from the Cd "Magnetic Charge" (2012). Featuring: Chris Matheos (bass), Kelly Back (guitar), Bill Moehnke (drums). 2016 New CD! SONG: "Malmutation". Chris Matheos- bass, guitar, drums, percussion. The Fret & Drum Administration featuring Chris Matheos (bass, piccolo bass) & Ron Anderson (drums). SONG: "ant 37"
2016 New CD! SONG: "Z Hotel". Chris Matheos-bass, guitars, drums, composer. A tribute to Michael Schenker. FRET & DRUM ADMINISTRATION featuring: Chris Matheos (bass, piccolo bass), Rob Anderson (drums). SONG: "Hard Time"
CHRIS MATHEOS & MIKE ERNST: "Full Moon/High Tide" from the CD Full Moon/High Tide (Network Pacific Records) 2008. Chris Matheos (b), Mike Ernst (g), Michael Lauren (d). Fret & Drum Administration featuring: Chris Matheos (bass) & Rob Anderson (drums). 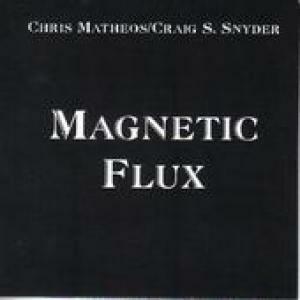 SONG: "Nanyago Bop"
CHRIS MATHEOS & Craig S. Snyder: "In Patient" from the Cd MAGNETIC FLUX (Network Pacific Records) 2006. Craig S. Snyder (g), Chris Matheos (b/composer), Jim Linsner (d). 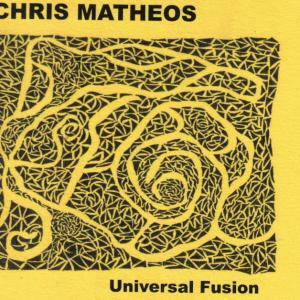 CHRIS MATHEOS & CRAIG S.SNYDER "Squirrel Palace" from the CD Universal Fusion. Chris Matheos (b/composer), Craig S.Snyder (g), Jim Linsner (d). 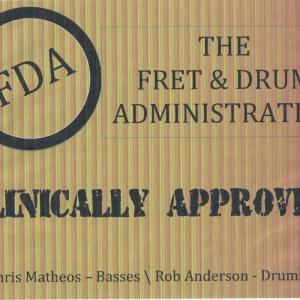 FDA: featuring Chris Matheos (bass) & Rob Anderson (drums). SONG: "Bank Error". Chris uses a bass Chorus and Octave Effect on his bass.